This beautiful villa, built in local stone, is located in the heart of the pretty village of Daverdisse. It offers spacious and beautiful light, and has all the equipment (dishwasher, washing machine, Dryable) A tennis table is available for amateurs. With his large garden and terrace can you fully appreciate sunny days and calm in the village. The area is quiet, and allows for nice walks and beautiful bike course. 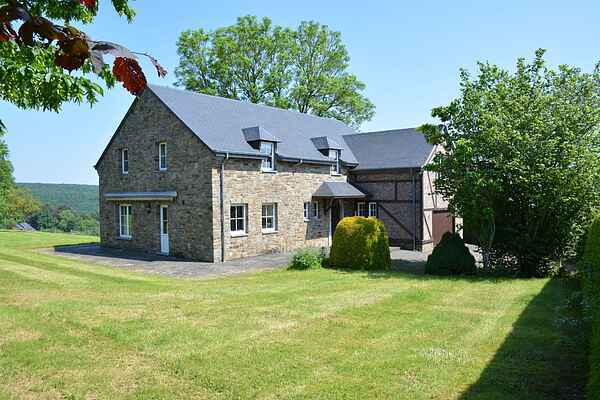 Ideal for families wishing to gather comfortably in the tranquil atmosphere and enjoy the beautiful nature of the Ardennes.